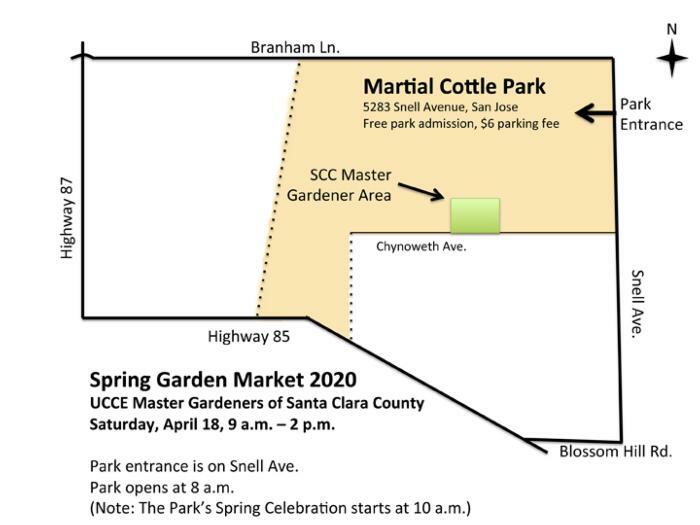 Spring Garden Market will be held at Martial Cottle Park, in conjunction with the Park's Spring Celebration. Note that our sale starts and ends an hour earlier than the Spring Celebration. Admission to the park and to the Market are free. Parking is $6. The entrance to the park is on Snell Ave. Important, please note! The park opens at 8 a.m. Cars are not allowed to line up before the park gates open. Please be respectful of the surrounding neighborhoods as well. 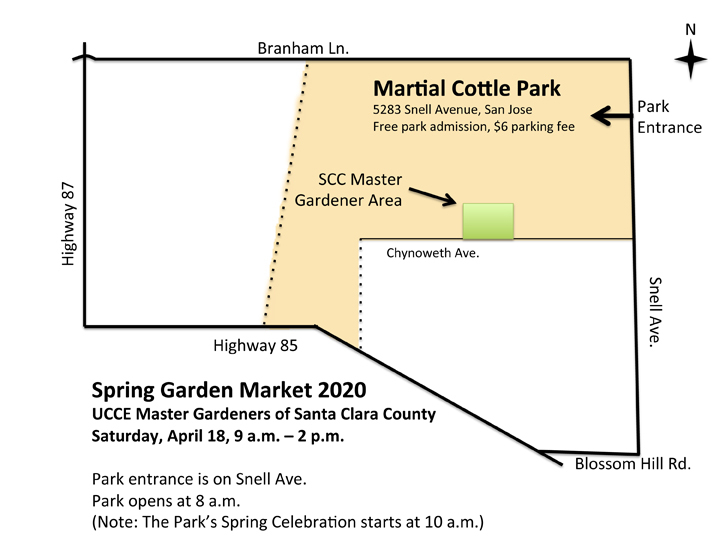 The UC Master Gardener parcel is on the edge of the park bordering Chynoweth Ave. There will be handicap parking nearby. We are very excited about our parcel at Martial Cottle Park and by the great strides we have made developing it so far. However, many areas are still very rough or just covered with coarse mulch. It's important that everyone wear sturdy shoes for walking on these uneven, possibly muddy surfaces. Strollers and wheeled walkers may have difficulty navigating the mulched sales area. Shopping assistants will be available on request for those who cannot traverse the deep mulch.